Visitors to Summerfest in Hastings on Aug. 25-27 will find something for everyone in the family. Arts & Craft vendors on the Barry County Courthouse lawn, softball and basketball tournaments, kids activities, a 10K/5K run/walk, free trolley rides, a car show on State Street, free live entertainment on the main stage and Thornapple Plaza, a motorcycle show, refreshment tent, all the favorite food carts and much more. In honor of its 40th year, the event’s signature event, the Summerfest Grand Parade, will stroll “Through the Decades.” Parade entries are judged on overall excellence, originality and uniqueness of design during the line-up and parade. First place wins $100 prize and the Summerfest Parade Trophy, first runner up wins $50 and a ribbon and second and third runners up will earn a ribbon. 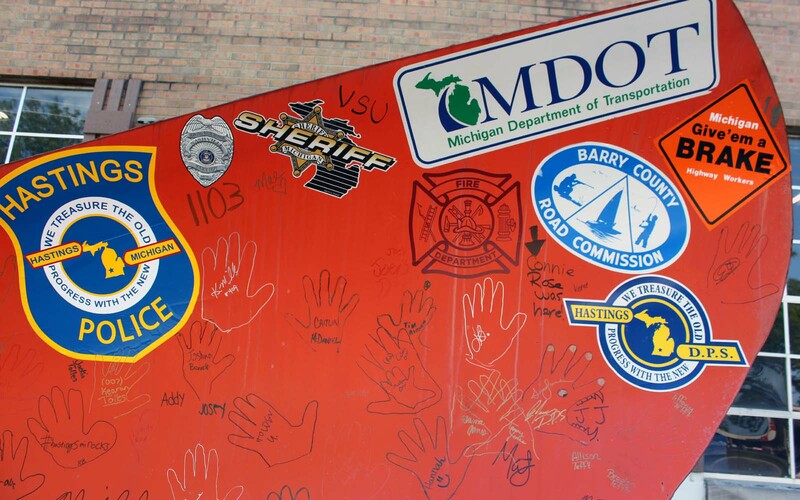 In the parade this year in a Michigan Department of Transportation/Hastings Office entry; a snow plow, its big orange blade covered with signatures and hand prints from area residents from the first “Night Out” held in town on Aug. 2. The annual celebration of summer is presented by the Barry County Chamber of Commerce Summerfest Committee. For a complete schedule of the three days of events, visit www.hastingssummerfest.com. (upper left) This V plow will be attached to a MDOT truck for the Summerfest Grand Parade this year. 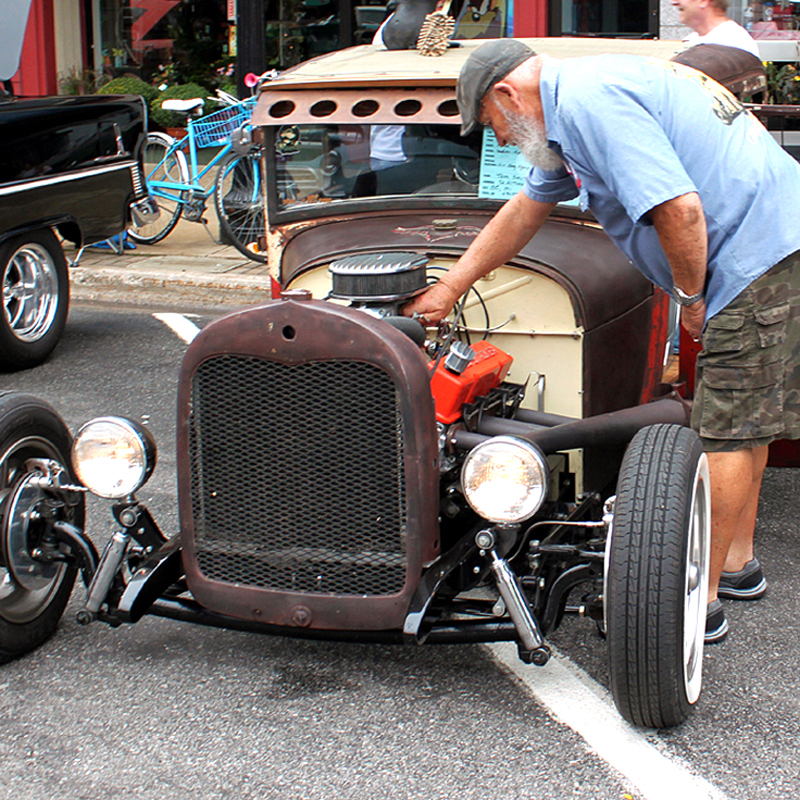 (middle left) The Summerfest Car Show fills State Street from the courthouse to city hall with al manner of vehicles to check out as this man is doing in a file photo from an earlier Summerfest. 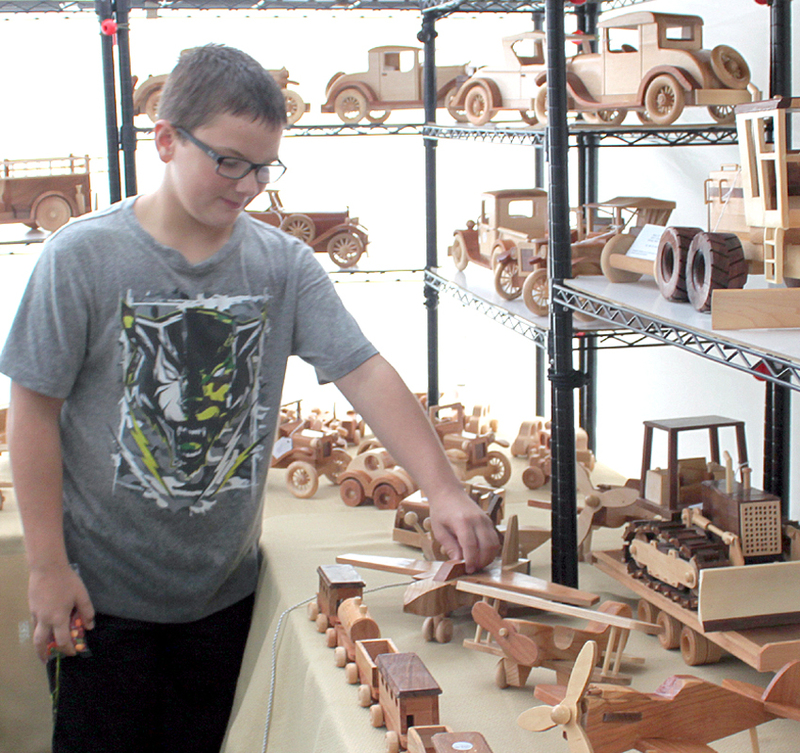 (left) A file photo shows that even young shoppers find unique arts and crafts on the Barry County Courthouse lawn every year.